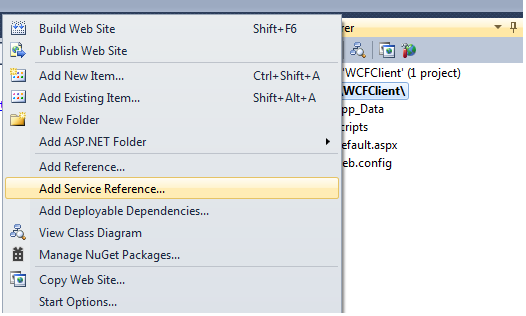 In this post we will see how to create a WCF service and how we can consume the WCF service. Before reading this you can check Tutorial on WCF and Advantages of WCF. 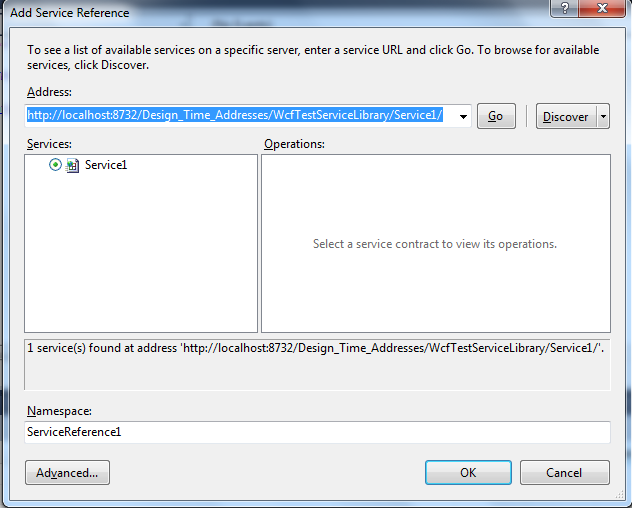 You can also check a good article on Host a WCF service in Windows service in C#.net. 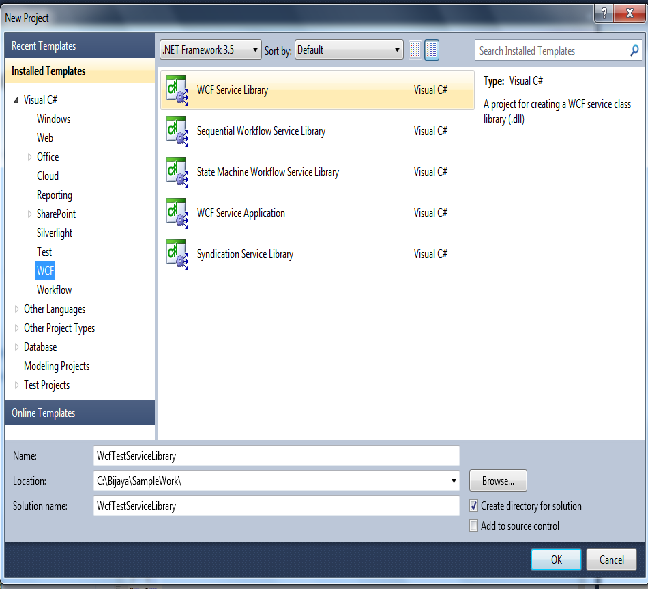 Now if you will look at the solution explorer, then 3 files are important App.Config, IService1.cs and Service1.cs. We will use this address while calling this wcf service. Now rebuild the project and then run the project. 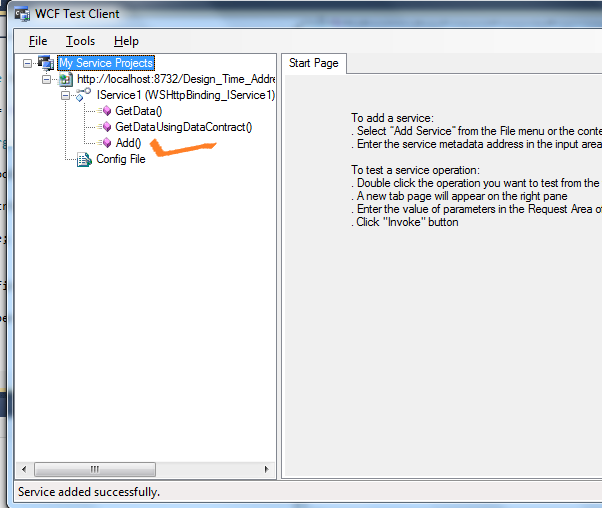 You should able to see the WCF test client dialogbox as shown in the figure below, Also you will able to see our custom method that we have added. Do not stop the service. This finishes our WCF creation part. Now it is time to consume the WCF service. Start Visual Studio 2010. Go to File -> New -> Web Site. 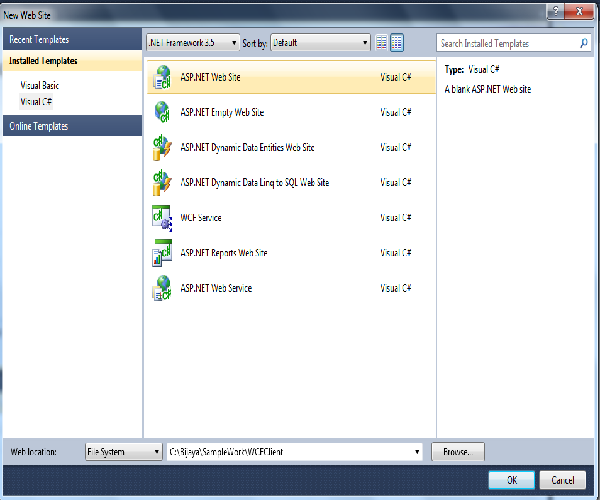 From New Web Site dialog box select ASP.NET Web Site. Give a proper name and click on OK as shown in the figure below. After you add the Service reference, it will create a folder with name as App_WebReferences and put the necessary files there. Now it is time to call our Add method that we have defined in the WCF service. Here result will contain value of 10.